Hi all! Here's new compilation of fail videos from all over the world. 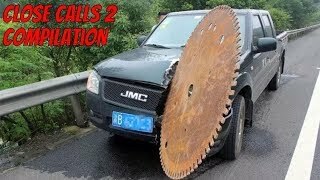 Semi-trailer truck epic fail, bicycle funny fails and more for this October 2017 fails compilation. Stay tuned for new fails, wins and wtfs. Cheers! 0:33 wath is the fail the man is laughing oder the man fail with is bike ? Are you leaking oil sir? No mate, it dont leak oil. Ой хватит смеятся, фальшивым истеричным смехом.